We have long been involved with the Millennium Wood at Wick and were there at the inaugural planting events in 2000. The woodland has matured slowly due to it’s exposed position right on the Glamorgan Heritage Coast but it is truly a wonderful place to visit for a walk or a picnic. The wood has been managed by the Woodland Trust since 2000 but there have been recent negotiations to hand over the responsibility for the wood to local community group Sustainable Wick. 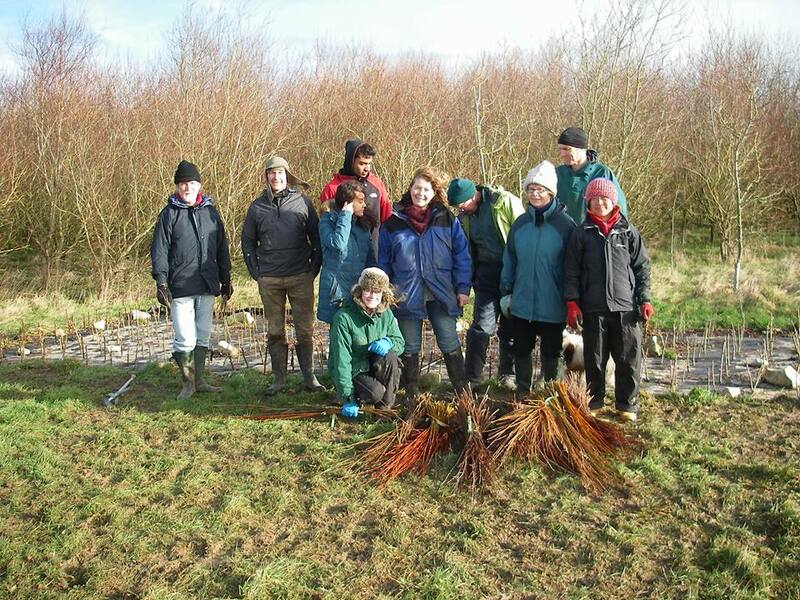 In the winter of 2014 we worked with Sustainable Wick to plant a Community Willow Bed. This is now in its second season of growth and a photograph taken this morning shows how wonderfully well it is doing. Willow is a native UK plant, which grows well in our temperate climate and is very easy to grow from cuttings. There are hundreds of different varieties of willow. Each variety differs in terms of growth rate, colour of stem and leaf shape. Some willows only grow a few centimetres each year while some varieties can grow to mammoth proportions, up to15ft each year. Willow is fantastic for nature – it is the second best after the oak for providing a habitat, a mature tree can support over 250 insects and birds. Many willow varieties provide both nectar and pollen for pollinating insects, often the first source each year. It is also an extremely efficient carbon capturing plant. Willow looks absolutely beautiful while growing and enhances all environments. 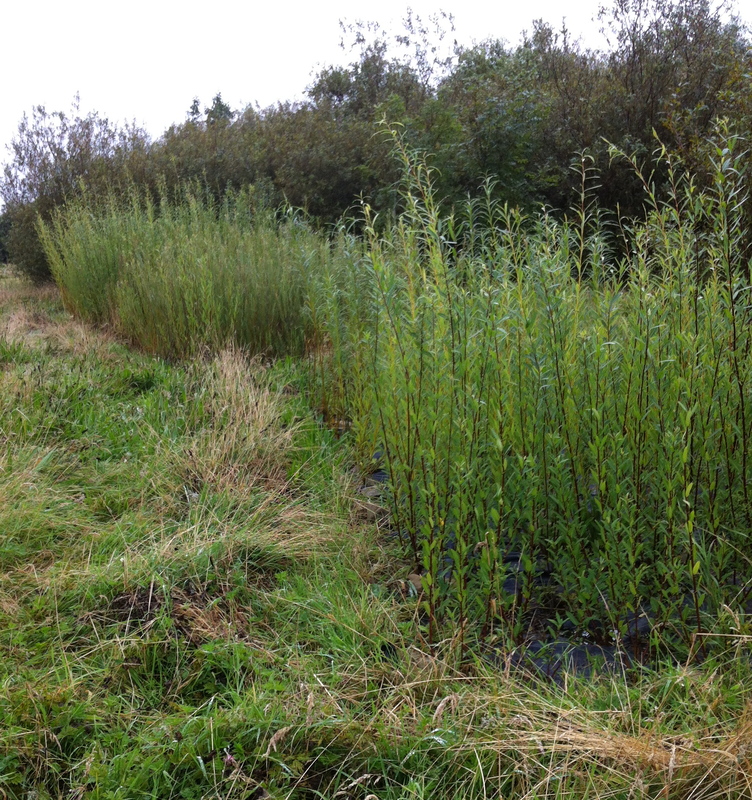 Willow can be grown in willow beds, like at Monkswood,which are then coppiced, by cutting them down to the ground, annually. Willow is probably the most sustainable material you will ever use. Willow has been used through the ages as a weaving material for containers and construction. Humans are hunter-gatherers and can only carry a limited amount of any material they need in their two hands. We have therefore always fashioned containers from materials around us. The first archaeological evidence of basketmaking is around 3000 BC. There is evidence that the first pots were shaped around baskets. The first Christian church built near Glastonbury has a roof which was constructed from basketwork. A basket makers apprenticeship was traditionally 5 years long and the first year would have probably been spent learning how to cut and sort willow for the basket maker. During the war years willow was of national importance and baskets were used for transporting pigeons, gun and shell cases and dropping munitions and supplies to troops stationed abroad. During world war 2 it was forbidden to make baskets for anything other than the war effort. 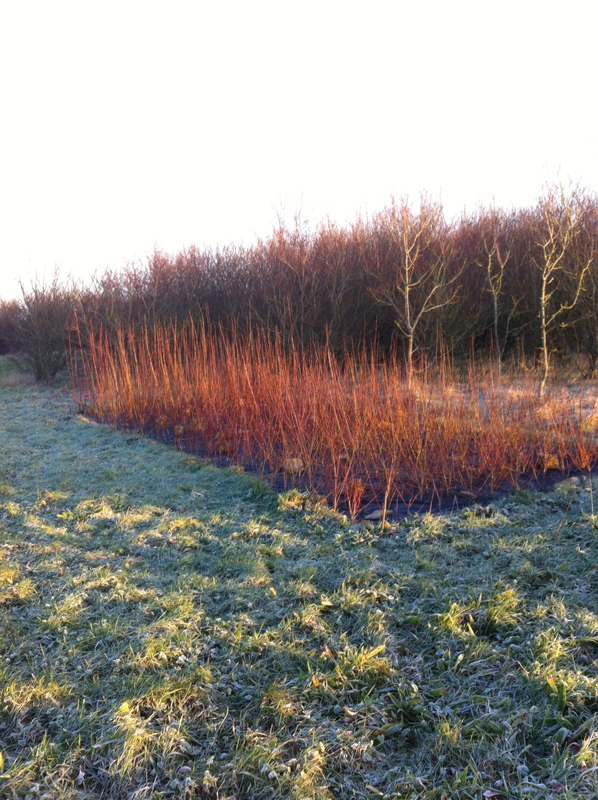 We planted the community willow bed with 12 varieties of basketry willow, such as Dicky Meadows, Nancy Saunders and Flanders Red in the winter of 2013 – 14 and then extended this in February 2015 planting larger varieties which are more suitable for structural work. These are mainly Salix Viminalis varieties. We have run several craft workshops at Monkswood for families to come and enjoy having a go at a new craft. We harvested our first crop of willow in January and have dried this and carefully stored it for use in future Group willow events.